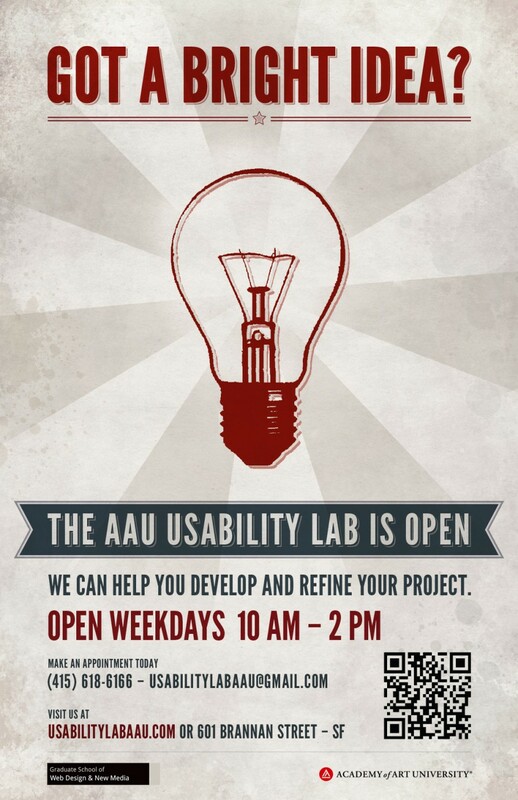 The Academy of Art University's Usability Lab opens every semester one week after classes begin. In the Fall of 2011, I worked as a lab coordinator intern and was tasked to help increase awareness of the lab amongst the student population. 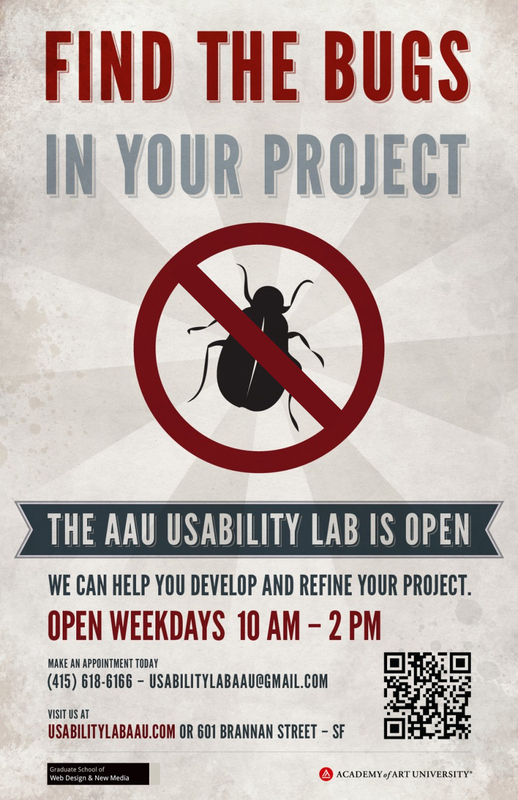 Increase awareness amongst the student population of the lab's location and contact information. Our primary target audience consisted of current students at the Academy of Art University working on their final thesis project or any other class projects that required usability testing. Our secondary target audience consisted of students interested in volunteering to test existing projects. 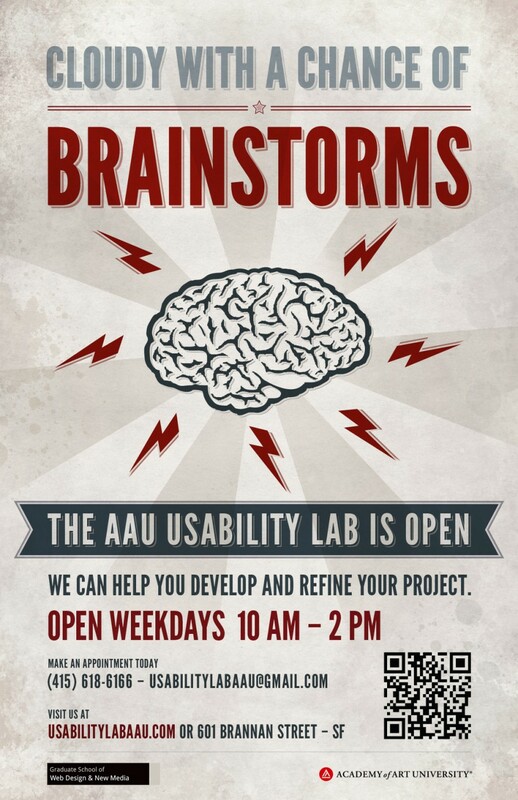 The solution proposed was a series of 4 posters that were placed in the common areas of the Graduate School of Web Design and New Media at the Academy of Art University located in downtown San Francisco. The posters were printed in two sizes, 24"x 36" and 11"x 17". The call to action was clear, direct, and fun. The contact details for the lab were in all posters. 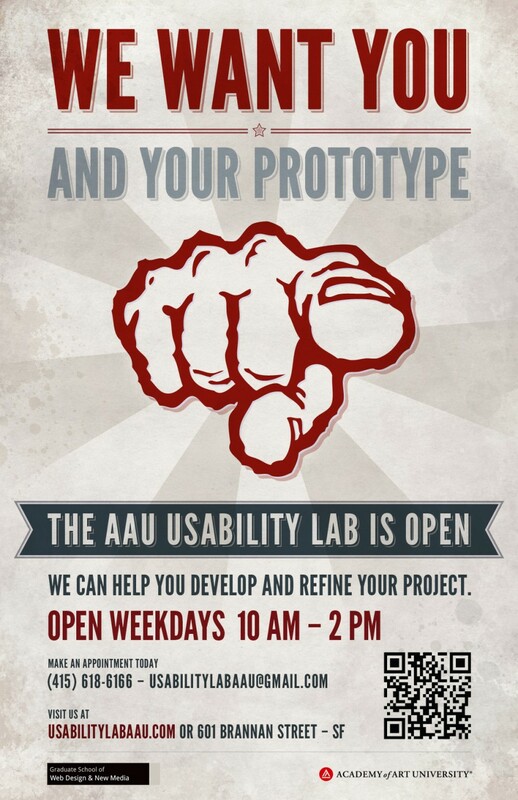 The project was successful in raising awareness about the Usability Lab. The number of appointments increased and the number of volunteers also increased. Personally, it was a fun project to be a part of and I was able to showcase my visual design skills.